short girl, long island. : Sponsor Spotlight. Happy Friday, everyone! I hope October is treating you well. I wanted to introduce you to a few awesome new sponsors that will be joining the blog for the month of October. 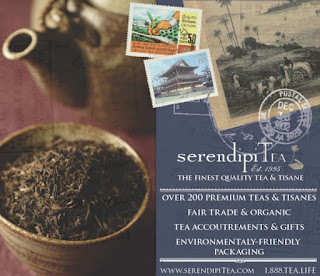 SerendipiTea is a tea company based out of Long Island + I can't wait to work more closely with the company. Owner Linda Villano carries high quality teas + tisanes [many are organic + fair trade] - SerendipiTea is even stocked at my favorite independent coffee shops, Roast. Linda recently sent over an assortment of teas for the autumnal season, including a few Spooky Teas, which are amazing. For the month of October, you can save 20% off all Spooky Teas, when using the coupon code SPOOKY TEA. I think my favorites in the Spooky Tea line are Fu Man Chu + Pagan Alms. You can also find SerendipiTea on Facebook + Twitter. Marianna's mission is to create beautiful, affordable and FUN jewelry items. She believe that wearing beautiful jewelry is the key to finishing off your look, increasing confidence and putting your best self forward. She named her shop after her father's hometown of Castellammare del Golfo, Italy. Castellammare translates "Castle on the Sea" in Italian. Marianna is also offering a coupon code to readers as well. Use the code NEXTTIME15 to save 15% off all orders - it expires November 15, 2012. 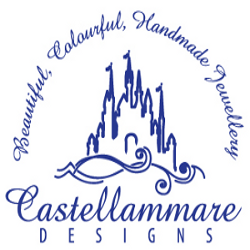 You can also find Castellammare Designs on Facebook. Make sure to swing by and say hi to these lovely ladies! If you are interested in sponsorship, please check out my sponsor page. Getting Stylish with a Stylist. Teach Me Something Thursday, Volume Eight. Teach Me Something Thursday, Volume Seven. Teach Me Something Thursday, Volume Six. Shabby Apple $50 Giveaway + Coupon Code. I Know The New Face Of Girl Scout Cookies! Teach Me Something Thursday, Volume Five.